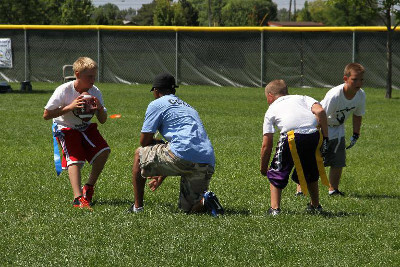 Next Level Sports Training football camps are the perfect program for your young athletes who want a complete introduction to America's game or for those who simply want to brush up on their skills in preparation for league play. Through our 'skill of the day' campers will learn skills on both sides of the ball including the core components of passing, catching, agility, and defensive positioning all presented in a fun & pro-social environment. 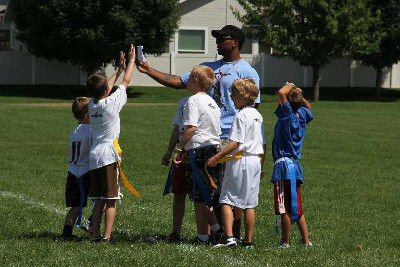 "Sports are known for the life skills that they instill in the people who participate in them. These life skills are present in all sports, but it is our goal to highlight these skills in a way that your child can absorb and carry with them for a lifetime. This will be accomplished in a positive pro-social environment."